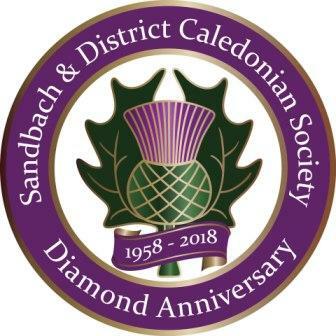 Sandbach & District Caledonian Society was founded during 1958 by Harry Elder, shown dancing in St Mary's Church Hall Sandbach in the photo on the right. The Society was formally set up at the first Annual Meeting on 29th October when Harry was elected as the first President. Since then there has been Scottish Dancing nearly every Tuesday in Sandbach Literary Institute. 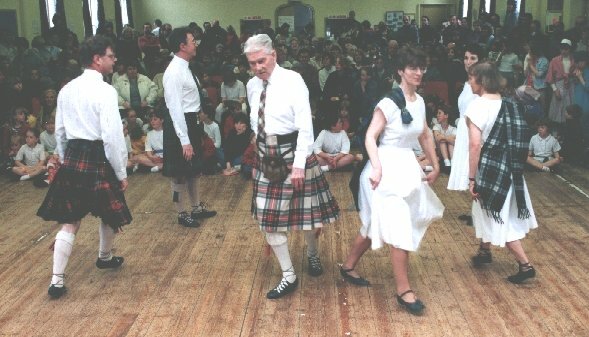 Harry Ably led the society until his death in 1997 when Stuart Ross took up the mantle as "Dancing Master." Membership is currently aroung 50. The Junior Section of the Society was set up during 1959 when there were between 20-30 members. Despite many fluctuations in membership the Junior Section kept going until 2015 when it became non-viable due to low numbers.